Have a question on Cerato? Cerato is available in 9 different colors - Clear White, Aurora Black, Snow White Pearl, Metal Stream, Planet Blue, Temptation Red, Silky Silver, Gravity Blue and Rich Espresso. Watch latest video reviews of KIA Cerato to know about its interiors, exteriors, performance, mileage and more. 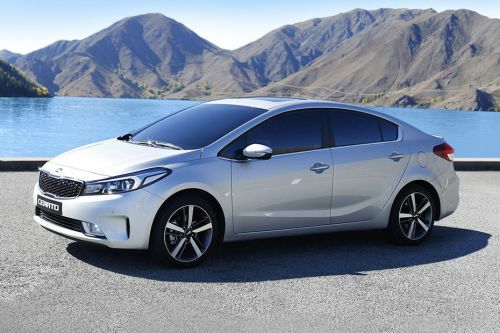 What is the price of KIA Cerato? On road prices of KIA Cerato in starts from AED57,900 for base variant 1.6L Base, while the top spec variant 2.0L Top costs at AED83,900 . What are the colors options available in KIA Cerato?